Have you ever heard the expression, “What looks in, looks out”? When it comes to a home’s exterior, perhaps truer words were never spoken. 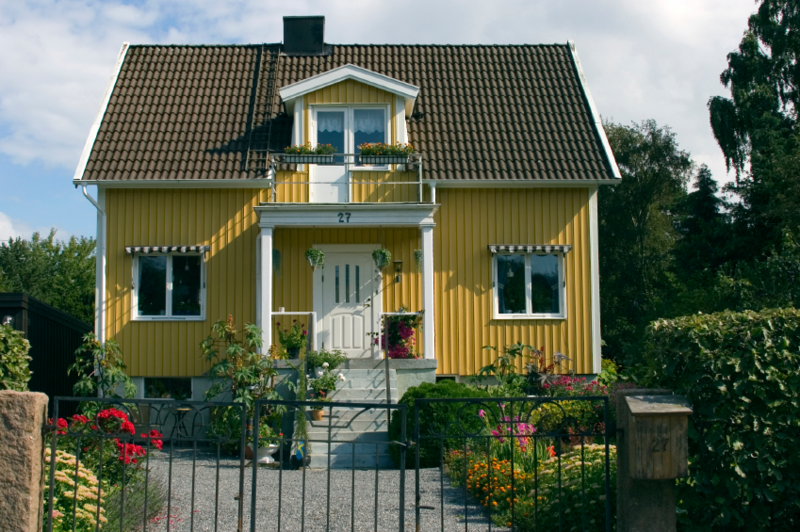 In addition to the usual question of general curb appeal, when a home’s outside presents a freshly painted and well-kept appearance, chances are the inside is also well maintained. For homeowners, a clean, crisp exterior paint job can impart feelings of order and aesthetic balance, along with a little pride. This works wonders and can even boost one’s sense of well being! On the other hand, a place with peeling, faded siding and dingy trim, can make a heart sink. Furthermore, anyone considering a home’s appreciation potential or contemplating a future sale, will want to keep the exterior of their residence looking its very best. After all, a home is typically the largest single investment most individuals will ever make and maintaining, updating, and upgrading the property is an ongoing and rewarding process! How do you feel when you arrive at your “Home Sweet Home”? At Colour Solutions we can help you discover a variety of ways to put your home’s best foot forward. Sometimes all that’s needed is a quick pressure wash or touch-up paint job on the exterior trim, entryways or steps. Our staff of designers has years of experience in guiding our customers to paint and stain choices that will best suit their needs. 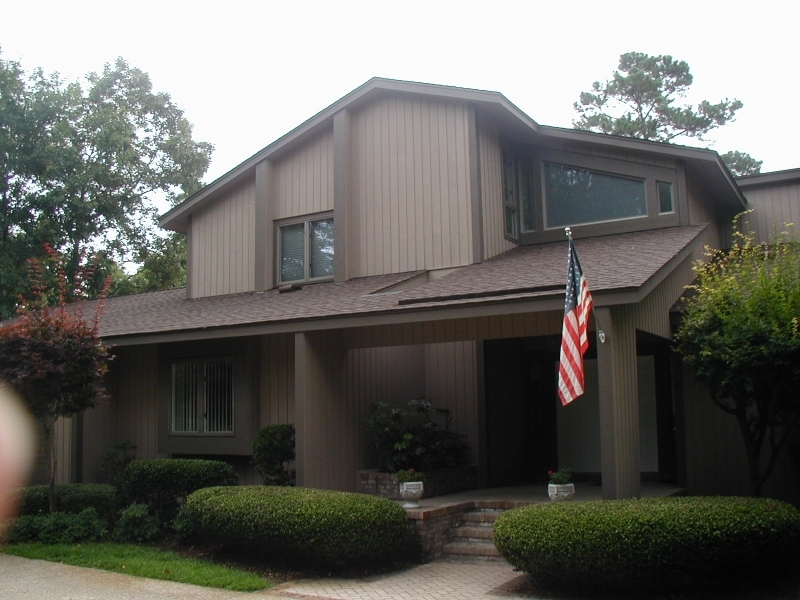 The weather in southeastern North Carolina can be tough on exterior finishes. The heat of summer, heavy rains and wind, salt air, plus the frequent humidity, may generate issues such as mold, mildew, and even accelerate the aging of some paints and stains. If it has been a while since you reviewed what’s available in the way of exterior paint and stain products, you’re in for a pleasant surprise. The team at Colour Solutions is equipped to offer suggestions including which products will perform their best to keep your home’s exterior looking fresh and new for years to come. 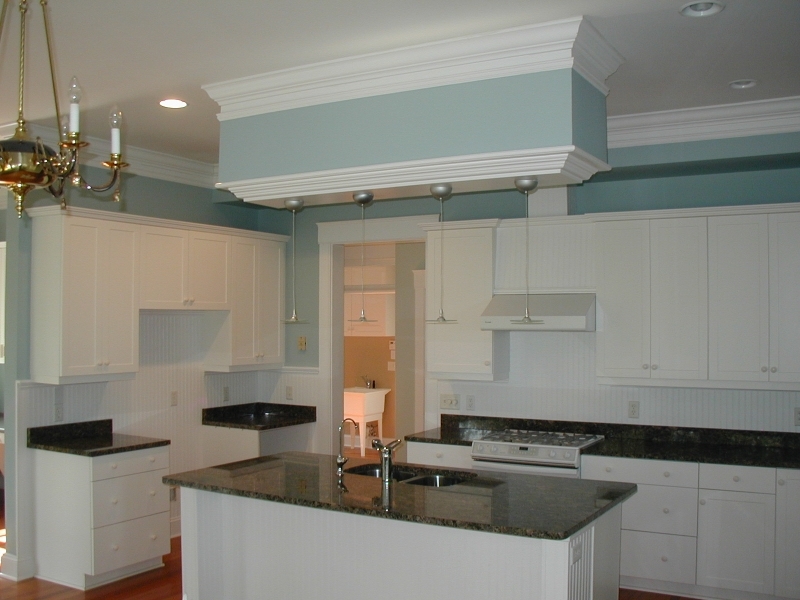 To arrange for a free estimate or consultation, just give us a call at 910-686-3067. Spring is truly just around the corner, which is why now is the perfect opportunity to get your home looking its very best! We look forward to working with you in the future and encourage you to read what our many satisfied customers are saying about our services. Think of your home’s exterior trim as you would an accessory, such as a necktie or scarf. 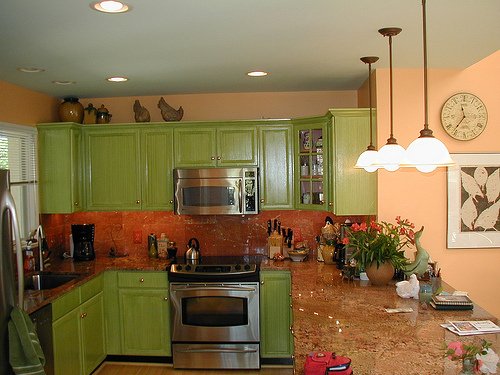 The idea when choosing a paint or stain color is to compliment rather than detract or overpower the general appearance. The architectural style of the home is also a consideration. There are some styles, such as Colonials, Queen Anne Victorians or Arts and Crafts bungalows that follow a suggested color palette for achieving historical accuracy. 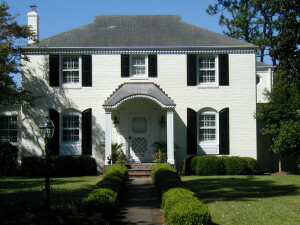 See: Classic Paint Colors Ideal for Wilmington NC. For more traditional residences, a good rule of thumb is to pick a color that contrasts from the whole house color. For example, with homes painted in light shades like crisp white, pale gray, beige, or buttercream yellow, dark choices are popular such as black, cranberry, dark green, or gun metal gray. Another approach is to use trim colors that are either a few shades darker or lighter and in the same color family as the base shade. Earthy tones often look better with another only slightly contrasting natural color. For example, a tranquil moss green or rich beige could handle a trim choice that’s only a few shade variations from the base color. Unless the neighborhood dictates which colors you may use, the bottom line is that trim color choices are a matter of personal taste. When in doubt, go for dark trim with a light background and light trim for a dark exterior shade. Of course, the designers here at Colour Solutions will also be happy to help guide you in the right direction! When it’s time to freshen up a home’s exterior trim, a homeowner may discover that some of the wood needs replacing. The elements, along with mold, fungi, and mildew can wreak havoc on the thin strips of wood that trim your home. 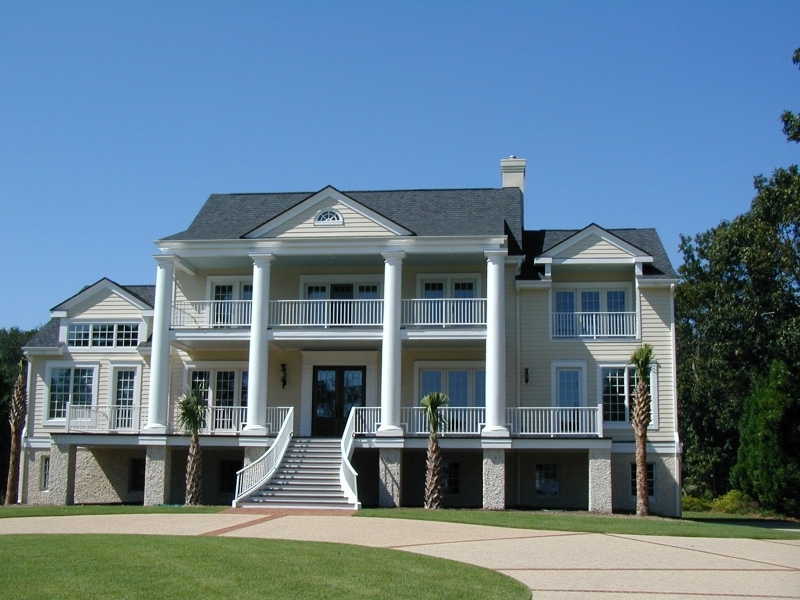 Builders often prefer southern yellow pine (SYP), cedar, mahogany, and redwood for exterior trim. Although poplar is frequently used for interior trim, it simply can not withstand changeable temperatures and moisture for very long. There are also a wide variety of synthetic trims on the market these days. Before making a selection, it is advised to read reviews and discuss the matter with both a qualified builder and painter. To maximize the life of the trim, it is advised to always prime it on all 6 sides. Save time by having the experts at Colour Solutions handle your trim painting for you. Give us a call today to learn more: 910-686-3067. Are you trying to get your home looking its absolute best before putting it up for sale? Or perhaps you’re trying to market it as a rental property and you want it looking great so you’ll attract more visitors? Or, maybe you just want to improve your home’s curb appeal even though you aren’t planning on moving out any time soon! Whatever your motivations may be, summertime can be a great season for adding some oomph to your home’s exterior. Here’s a look at 5 easy ways to boost curb appeal without having to spend a lot of time and energy. Sadly, many homeowners forget to tend to their windows during their regular home maintenance. This is a shame because nice, clean windows can do wonders for both your home’s interior and exterior. It will make your home look brighter, more inviting, and it will help fill your rooms with natural daylight. In addition to having your windows thoroughly cleaned (inside and outside panes), you should check around the window panes for cracks or other minor damages, either to the surrounding wood shutters or to the window glass itself. If you notice anything, go ahead and fix these issues now. If you see some cracks in the wood, make a quick run to the local hardware or home improvement store to get some wood putty filler and paint. Simply follow the directions on the putty for filling in wood cracks and then paint over the treated area once it has set. If you notice a crack in the window glass, you can pick up some waterproof silicone sealer. You’ll use it much like the wood putty – simply fill the crack or small hole with the sealer and smooth it out so that the sealer is flush with the surrounding glass. A putty knife or popsicle stick does the trick. Remember, this is a temporary fix and you’ll probably want to replace the window glass at some point. If you’d rather not do these projects yourself, you can always contact us! 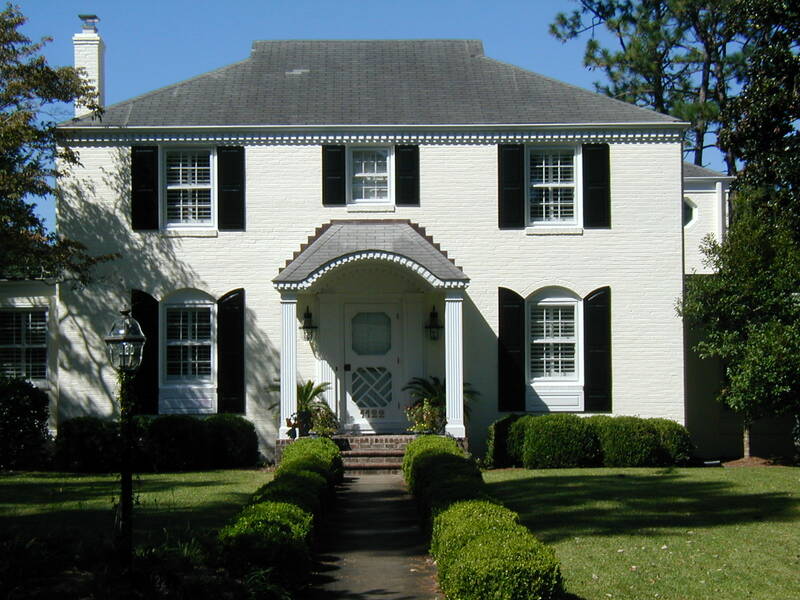 Colour Solutions is pleased to offer comprehensive painting services to residential properties throughout the Wilmington, NC area. 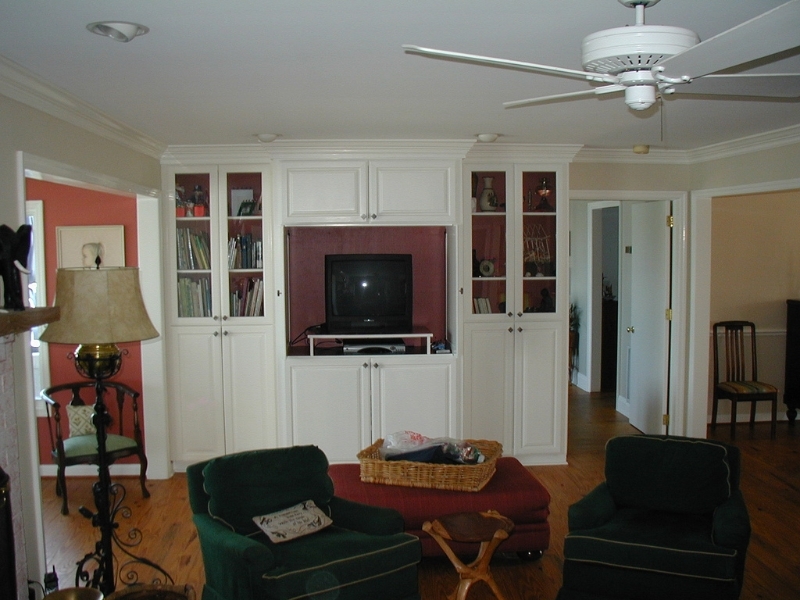 Additionally, Colour Solutions can handle a variety of other small home improvement jobs. Call us today for a free estimate. (910) 686-3067. When visitors come to your home for the first time, their first look at your home will include the entrance. A first impression is important, so spiffing up your home’s entrance should be a priority, especially if you’re planning on putting your home on the market. To do this, make sure you keep your front entrance free of leaves, grass, dirt and other debris by sweeping regularly. You could also spend a few dollars on some nice, new house numbers to add to your home’s entraceway. You can find these at any home improvement store and they’re usually about $4 each. Finally, adding a coat of fresh paint to your front door can be a powerful way to boost your home’s curb appeal. Just make sure you choose a color that complements your home’s exterior color. If you’re not sure about what color to select, you can always call us at Colour Solutions for paint samples. Remember, the way the colors will look on the swatches will be different than they way the color looks in natural sunlight. When comparing swatches, be sure to do it outside, standing near your front door to get the best idea of how the color will look. While you’re at it, why not go ahead and paint your window shutters and some other small features? You mailbox could probably use some fresh paint and your window shutters would look great in a color that matches the new front door shade! 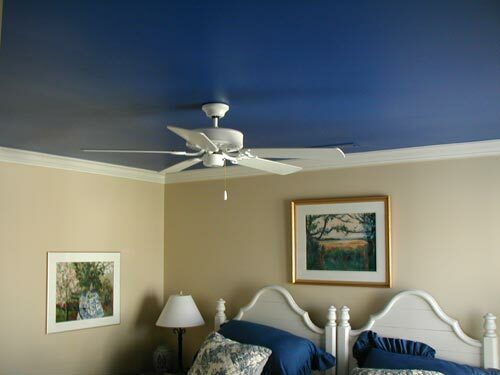 If you’d like to leave the painting projects to the professionals, feel free to contact Colour Solutions – Wilmington, NC’s home painting experts! Don’t think you can afford to hire painting pros? You might be surprised how affordable it is! And, if you’re only painting a front door, shutters, and other small areas, your bill will be much more manageable than if you were painting an entire house. People rarely enjoy doing yardwork in the hot, humid summer months. Here in the Southeast, most homeowners put off even the simplest tasks like mowing their lawn because the heat can be unbearable. Even though it’s tough, try not to fall behind on your lawn maintenance. Don’t worry too much about adding anything into the mix like extra flowers, shrubs or trees – the less you have to take care of the easier and cheaper this will be! Simply focus on maintaining what you already have in the ground and, if you begin to feel ambitious, maybe add a few small touches like solar powered landscaping lights or fresh mulch. Pressure washing your home’s exterior is a quick, fairly simple process that will keep your home looking great for several months. A lot of homeowners choose the “do it yourself” method when it comes to pressure washing. While this can often save you a few bucks, keep in mind that pressure washing involves the use of chemicals to remove mildew and other bacteria that can accumulate on your home. If you plan to pressure wash your home on your own, be extra careful when handling the cleaning substances and when operating the device. For those who might not have the time or ability to pressure wash their own homes, Colour Solutions offers professional pressure washing services at affordable rates. 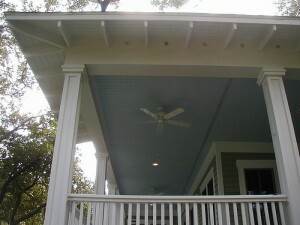 Got a fabulous front porch? Show it off with a fresh coat of paint! And, while you’re at it, don’t forget the porch’s ceiling! It might sound strange, but having a nice, clean and neatly painted ceiling can add a whole other level of appeal to your porch. While some visitors might not take much notice of the nice, beautifully painted ceiling – potential home buyers will. When buyers view a home they’re considering, they look in all the spaces, nooks and crannies that your typical house guest wouldn’t dream of peering into. So, if you want to really make a good impression…don’t forget the ceilings! Home Exterior accent paint colors can help you achieve the look you desire, whether that be a more formal, casual or whimsical appearance. As with interior design and fashion, choosing paint colors for your home’s exterior takes a little know-how. Highlighting a home’s front door in a contrasting color is a great way for a homeowner to express their creativity and boost curb appeal. In times past, the preferred color choices were black, green, and red. Today’s homeowners are faced with so many exterior paint choices that making a decision can be tough. In a recent article from This Old House magazine, architectural color consultant, Amy Wax, offered a few suggestions. the exterior entryway leading to the front door-is it wood, stone, brick? Wax explained that for homes with solid colored, neutral exteriors, the paint pick for the front door should serve to compliment and enhance. 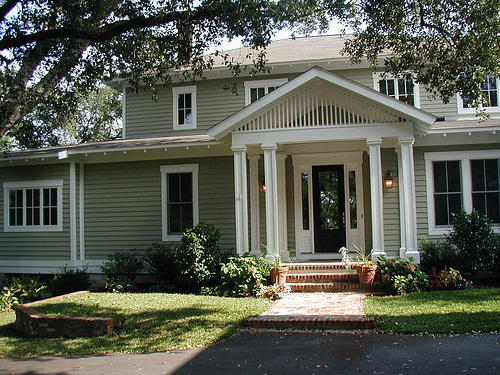 Siding that is pale, such as white, gray, or beige; practically begs for a pop of color. Formal, stodgy entrances take on a new attitude with an unexpected choice that is both bright and bold. Casual residences can look more sophisticated when the front door is painted a glossy, deep shade of a primary color such as blue or yellow. For a touch of whimsy, consider using ice cream colors or shades inspired from the Caribbean: turquoise, coral, and sea foam green. Doors that incorporate glass are able to handle strong shades because the glass tends to soften the overall effect. Residences with darker exteriors benefit dramatically when the front door color is incorporated artfully. Wax suggests repeating a shade that is already present and playing it up. For example, is the perfect choice lurking in shade variations within the brick or stonework? The answer could also be discovered in the home’s surrounding foliage or foundation plantings. 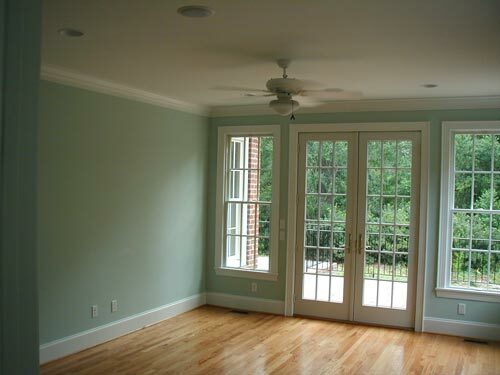 If you want help choosing colors or for us to give you a quote for painting services, you can request a quote online or call us directly at 910-686-3067. Are you ready for fall? How about your home? To get you house in shape for autumn, check out these tips to make your fall cleanup go smoothly. Transition garden -Â If you have a flower, veggie or herb garden, now is the time to get it ready for the next season. Remove any dead plants and weeds and till the soil. Start planting your fall/winter flowers/produce. 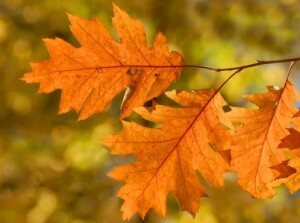 Rake leaves -Â Set aside an afternoon or morning to clear your yard of as many leaves and yard debris as possible. (In southeastern NC, you may be raking more pine needles than leaves! If that’s the case, you may be able to reuse the pine straw for landscaping). Check your home for areas that need caulking -Â Caulk helps prevent moisture and mildew by creating a seal. 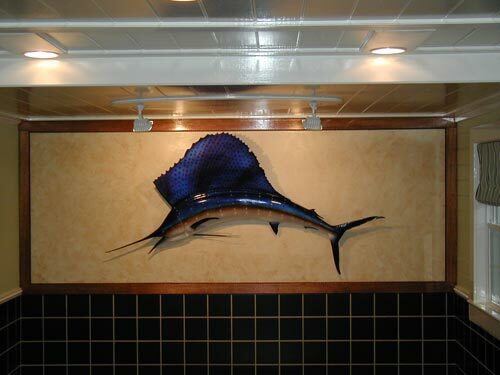 Bathrooms, kitchens and around doors and windows are common places that need caulk. It’s a good idea to check these areas at least twice a year. Check your home’s paint. Is it time for a fresh coat? -Â A fresh coat of paint can make your home more attractive. It can also act as a protective layer between your home and the elements. Summertime is here! And what better time to improve the look and value of your outdoor living space? With Colour Solutions’ porch painting services, your porch or patio can get a quick and relatively inexpensive makeover with a few fresh coats of paint. The pros at Colour Solutions can also offer expert advice when it comes to selecting a paint type and color for your porch’s floor or ceiling. Depending on the material (wood, concrete, etc.) you may need a specific type of paint – and depending on the level of exposure your porch is subjected to, certain colors may work better than others. Let the experts help you find the right paint product for your home’s needs! 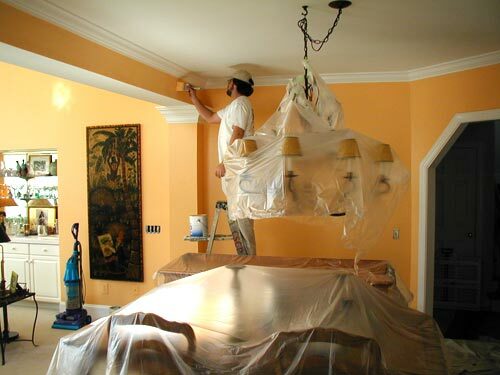 Colour Solutions is a team of highly experienced painting and home improvement professionals. 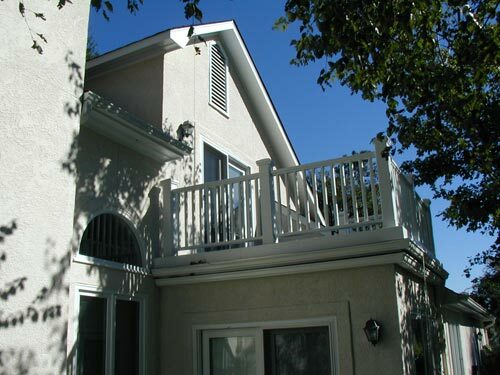 Among the many services we offer, painting outdoor porches and patios are a popular choice for homeowners. A fresh coat of floor or ceiling paint can add beauty, value and protection to your outdoor space for years to come. Garage Floor Coatings – Add an attractive and protective coating to your garage or workshop floor. Deck Staining & Painting – Protect your deck with a high quality stain or paint and show it off this summer! 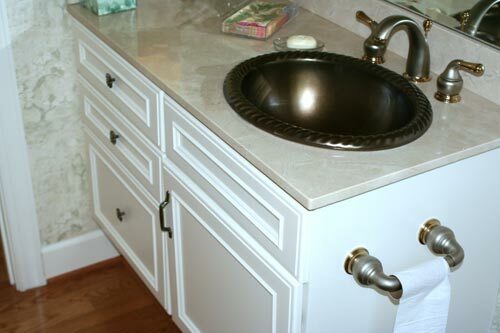 Cabinetry Repair – Fix those chipped, broken or rotted cabinets to give your place a well-maintained look. Drywall Repair – No one likes doing drywall…except us! Before you worry about painting or crown molding, let us help fix any damaged walls your home may have. Wallpaper Removal – We happily remove any unwanted, outdated, stained or damaged wallpaper. Gutter Cleaning – This is one of those time consuming jobs that most homeowners put off. Let us take care of this chore for you, affordably and efficiently! 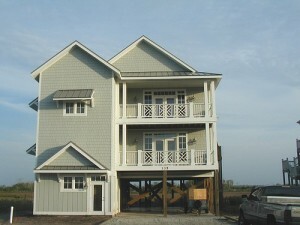 To see a complete list of our home maintenance services for Wilmington NC and the surrounding area, visit colour-solutions.com/services/ or call us directly at 910-686-3067. This is a question we are asked a lot. Unfortunately, there is no one answer that is true across the board. The answer depends on several factors, like climate, humidity, sun exposure, color and quality of paint and the material of your home’s exterior (wood, aluminum, painted brick). 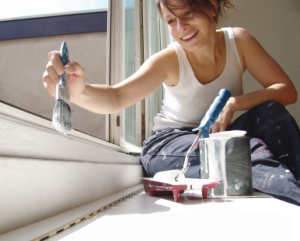 Generally speaking, a homeowner should plan on repainting every 5-8 years. Of course this number will vary by home and location, but it will at least give you a rough idea. You may be able to get up to 10 years out of your paint job if you choose a high-grade, extremely weather resistant paint and your home’s exterior is in impeccable shape. Otherwise, it’s best to play it safe and plan on 8 years being the maximum. Keeping a good coat of paint on your home’s exterior is crucial to maintaining home over time and avoiding expensive repairs down the road. Not only is a fresh coat of paint attractive and beneficial to your home’s overall value, it also acts as a protective barrier, keeping your home safe from exposure to the elements.